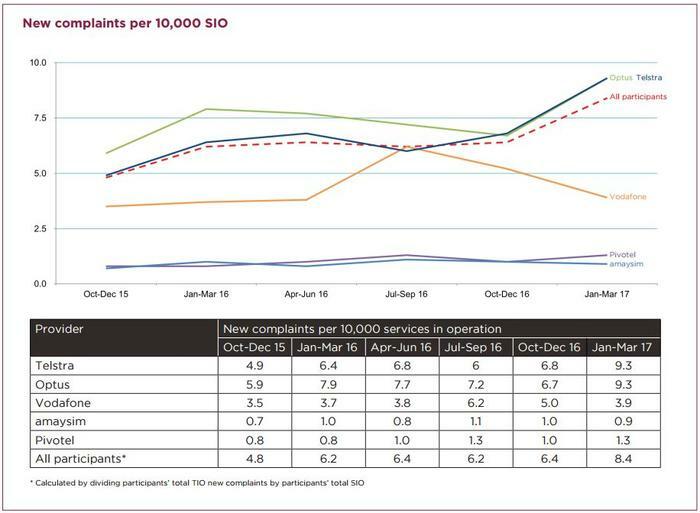 Telstra and Optus have tied at the top of the Telecommunications Industry Ombudsman’s (TIO) latest quarterly consumer complaints tracker, with each company being the subject of 9.3 new complaints per 10,000 customers. The latest tally sees increases in the rate of complaints about the country’s two largest telcos, increasing from 6.8 complaints, and 6.7 complaints per 10,000 customers in the December quarter for Telstra and Optus, respectively. Meanwhile, Vodafone has seen a dramatic fall in complaints per 10,000 customers, from five last quarter to 3.9 this quarter. Likewise, Amaysim saw a small decline, from one to 0.9 complaints per 10,000 customers in the period. Overall, complaints went up, with the TIO receiving 8.4 complaints about the country’s telcos, per 10,000 customers. The latest figures come hot on the heels of the TIO’s latest six-monthly update, released on 11 May. The six-monthly tally revealed that complaints by Australians about their telecommunications services rose by more than a third in the six months ending December 2016, compared to the same period the year prior. The figures showed that residential consumers and small businesses made 65,970 complaints to the TIO about their landline, mobile or internet services between 1 July and 31 December 2016. 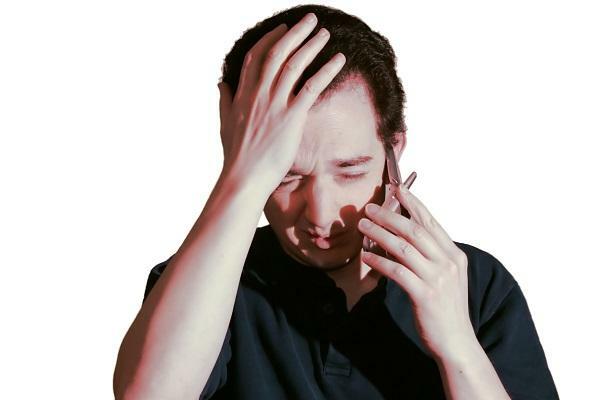 The complaints were recorded against 324 phone and internet providers in Australia. “The Telecommunications Industry Ombudsman has experienced an increase in complaints for phone and internet services, which were up 5.3 per cent from the preceding six months (1 January 2016 to 30 June 2016),” TIO ombudsman Judi Jones, said at the time. In the internet services segment, there was a 6.8 per cent increase in complaints about services delivered over the National Broadband Network (NBN) compared to the preceding six months. Compared to the same period the previous year, the increase represented a whopping 117.5 per cent. However, the TIO stressed at the time that the rate of increase in these complaints is slower than the rate of increase in the number of new premises connected to the NBN.